This intensive, interactive and fun two day programme is perfect for retail sales executives, boutique owners, fashion assistants or budding entrepreneurs who want to add the exclusive skills of Luxury Retail Expert to their repertoire. When your clients and customers need real style advice, sometimes your sales executives don’t always know best. Although they may be fantastic at selling products, could they be missing valuable sales opportunities by not understanding exactly what suits and flatters their luxury retail clients? With a keen eye, the right advice and excellent training, you can enhance your luxury retail skills and know how to make your clients look and feel spectacular. When clients feel spectacular it builds trust in your brand and your products, leading to long term, sustainable client relationships. No matter what type of client you deal with, the best luxury retail experts and sales executives are the ones who personalise the client experience, that includes understanding skin colour, body shape and taking the clients unique personality into consideration to create a style that is polished from head to toe. As one of the worlds most respected luxury trainers, Luxury Academy is fortunate to work with many of the most recognisable luxury brands across Europe, USA, Middle East and India. Our clients are key players and market leaders across luxury fashion, jewellery, retail, hospitality, automotive, property, banking, shipping lines, private jets and super yachts. We are the retained protocol and etiquette trainers for three royal families and because of this international exposure, we intimately understand the mindset of the luxury consumer and how they interact and engage. Participants will understand the innate difference between fashion and style. How to curate different fashion nuances and understand what is suitable for a client’s personal style based on social and workplace lifestyle. Also covered is how to create a signature look and define the clients own personal style. We explore how clothing affects our psyche and our perceptions. Participants will learn to understand the different clothing needs of clients in terms of physical, psychological, social and aesthetic and how it affects their personal style. 8 clothing values will be explained. Cues to identify the clothing values of clients will be discussed. Participants will learn to identify the individual values unique to each customer and in turn suggest the most suitable to engage them. Understanding the role of the sales executive as an expert and how it benefits them and their clients. Understanding the needs, expectations and buying patterns of luxury clients and how they differ from mainstream consumers. Participants will learn how a luxury retail expert takes time to understand the customer’s needs and aspirations. Credible experts have impeccable knowledge of their brand and can confidently suggest what will flatter each customer. Participants will learn to evaluate body shape, personal colours and face shape. A great stylist will ensure their client stands out from the crowd. Understanding the fundamentals and characteristics of different body shapes for both male and female clients. Participants will learn to understand colour theory and the concept of how to balance colours for maximum effect. Participants will also learn to analyse the personal colour profile of the client and suggest products that will better enhance the clients skin tone and body type. Understanding how to create the illusion of ideal body shape for different body types, understanding areas to highlight or reinforce, and how to camouflage body variations. Understanding how to make your client appear taller, shorter, slimmer through clothes and accessories and through countering and repeating techniques. Practical training for identifying different face shapes and facial profiles. Understanding how collar, necklines, accessories, and eye wear impact image. Understanding how to deliver customised shopping recommendations based on the clients needs such as job roles, goals, values, body shape, personal colours and face shape, increasing client trust, engagement and spend. Clustering is a small group of clothes that work well together thereby saving time and energy when creating different outfits. The participants will learn the ground rules of creating a cluster. This will help them enhance client engagement whilst also up-selling accessories and core wardrobe items. Participants will learn the importance of accessories in creating different looks and changing the mood and message of the outfits. They will understand how to use accessories to create focal points appropriate for different situations and how to create different looks using the same accessories. The Luxury Retail Expert is a three day intensive programme for luxury professionals who are on the fast track to success. The programme covers vital skills to help you master the art of being a successful expert in a luxury retail environment. The core emphasis of the Luxury Retail Expert programme is to instill confidence, polish and essential life skills in each participant. The Luxury Retail Expert programme has been attended by participants from all walks of life, business and social backgrounds including retail professionals, boutique managers and owners, entrepreneurs, personal shoppers and image consultants. 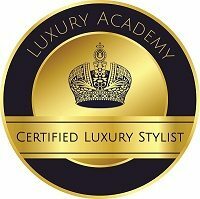 Luxury Academy programmes are delivered worldwide in cities such as London, Mumbai, Delhi, Bangalore, Hong Kong, New York, Washington DC, Moscow and Sydney.